This statistic gives information on the internet penetration in Chile from 2000 to 2017. 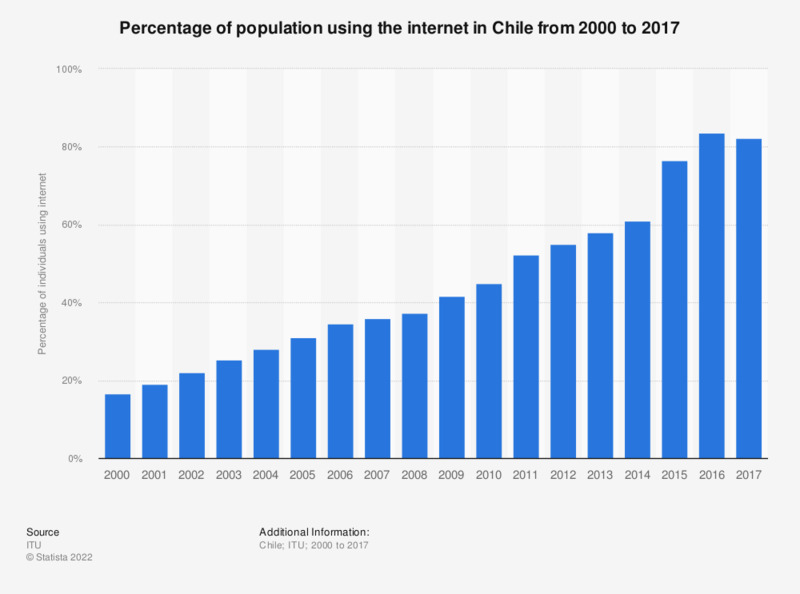 In 2017, 82.3 percent of the Chilean population accessed the internet, up from 19.1 percent in 2001. In 2016, 83.56 percent of the Chilean population acceded to internet.